This prospect, while named for Mt.Phelps, is actually hidden on the flanks of the McClain Peaks. There is some longstanding confusion/disagreement over which big lump of rock is which. So if you’re interested in learning more, I covered something of this naming debacle in my bit about Mt.Phelps. Give it a read! Looks like somebody read the Hanford manual on hazardous waste disposal. Unfortunately I can find little about the history of these claims. What I do know is that the main metal of interest was zinc with showings of copper, gold, silver and lead. 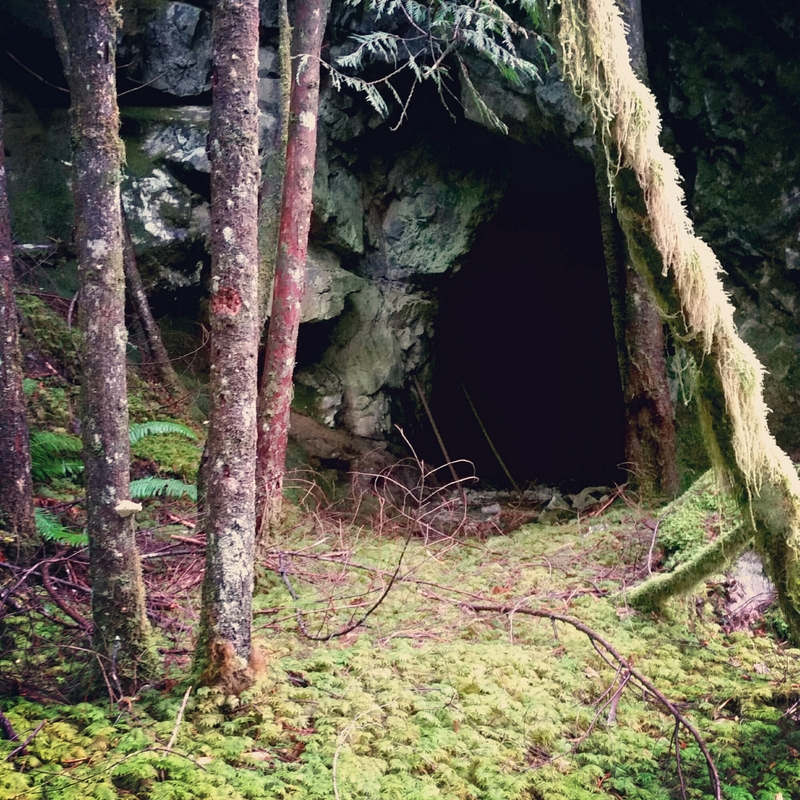 Hopes were high based on early diggings, at one point there were even 50 claims in the area. When assayed however, dreams of a bonanza turned into a bust, as the ore was valued at only $5 a ton. Such were often the fortunes of the Cascade prospecter. They don’t make ’em like this anymore! There are a few items of interest laying around the area and inside the short tunnel. 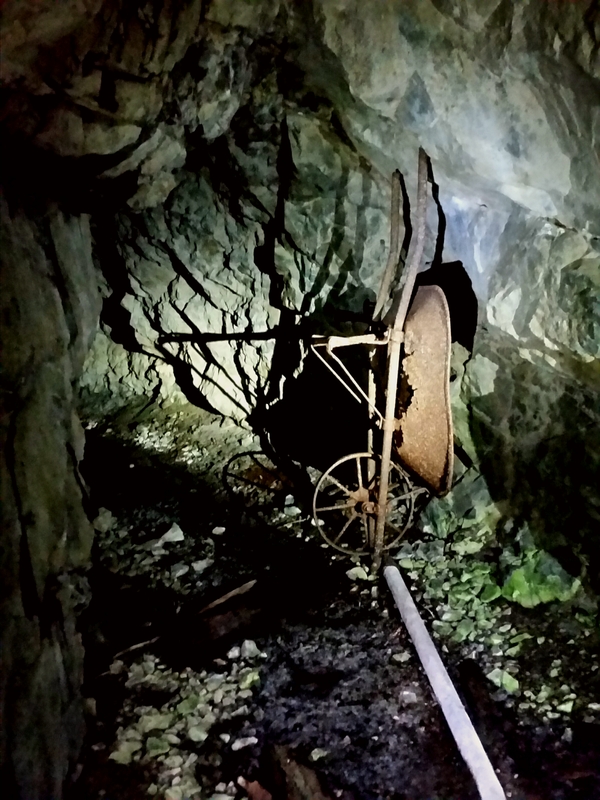 A rusty wheel barrow and some drill bits are the main attraction at the adit, which is found at about 1800′. The tunnel itself is pretty short, I’m guessing 30ft or so. 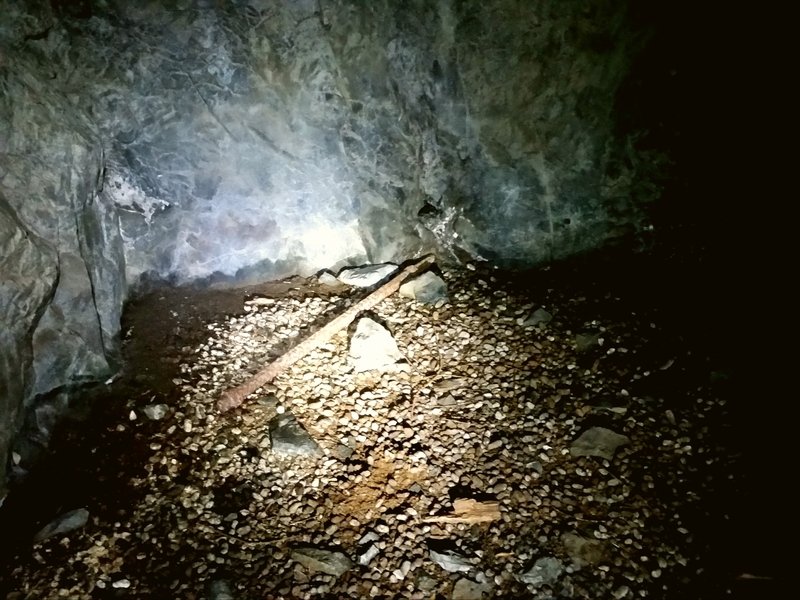 The interior is mostly dry and home to the usual cadre of moths, spiders, gnats…and Mountain Goats?! I don’t know that the goats live there, but they’ve been using the back portion of the tunnel as a toilet. Many inches of goat droppings silently attest to this filthy fact. 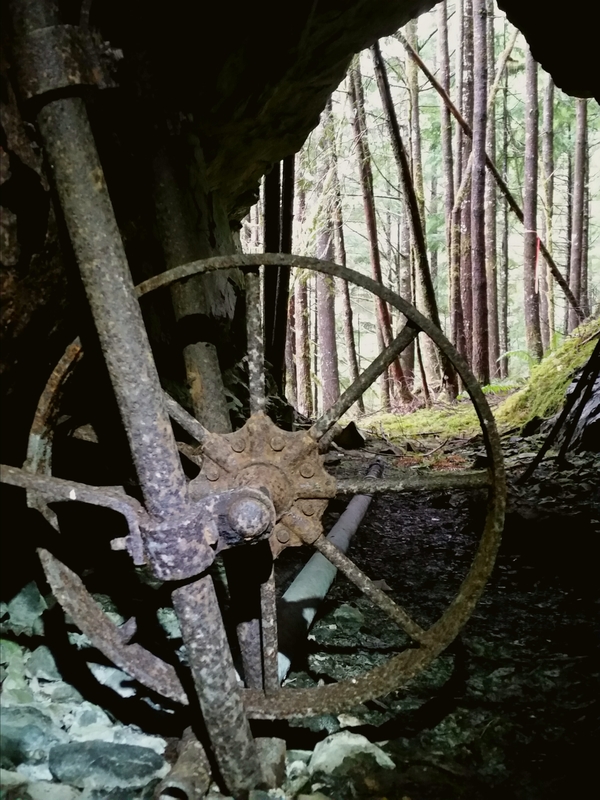 The remains of a cabin are slowly sinking into the forest duff a few hundred feet below the adit, alongside an abandoned road. 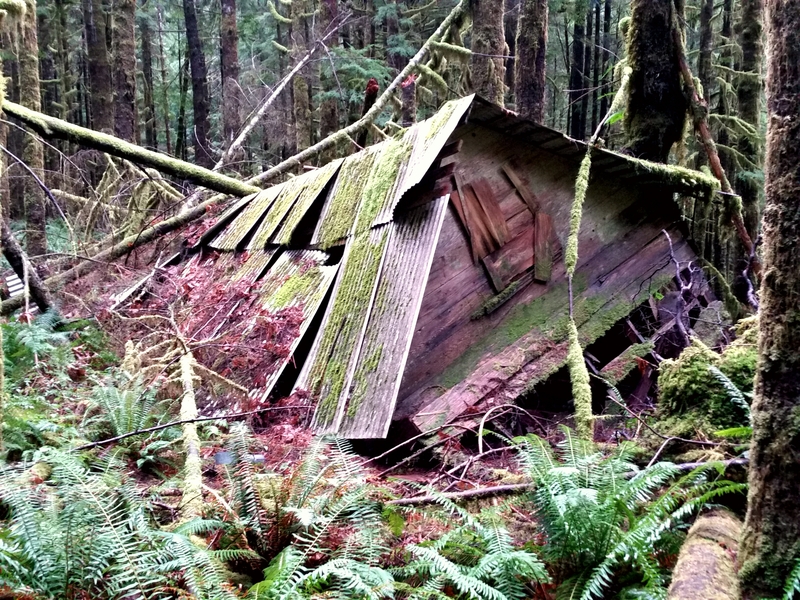 A collapsed compressor shed can be found in the cabin’s vicinity, as well as a prospect hole. 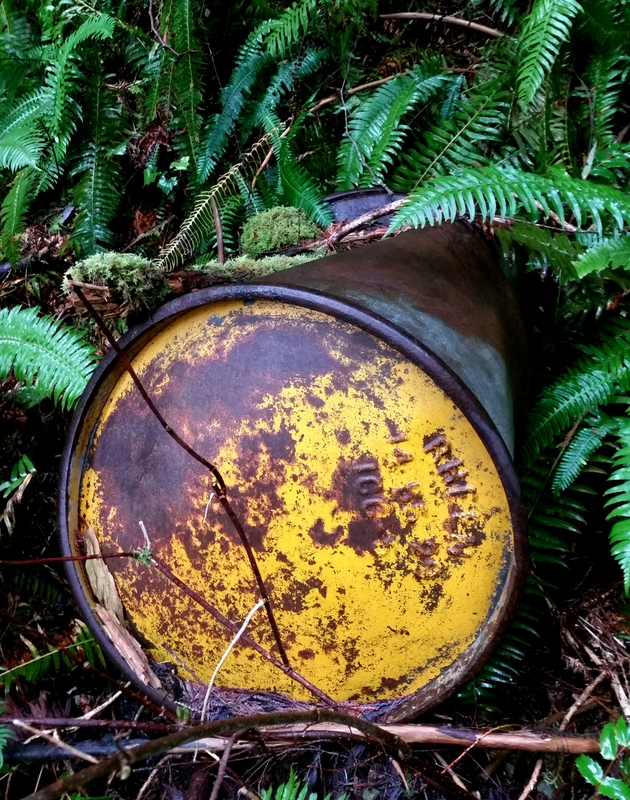 Scattered amongst the cliffs and downed trees one might also find a few decaying steel barrels. In Seattle this would cost at least $500,000. You’re gonna hate me, but you’ll have to find this one on your own. It’s an interesting, yet little known site, so better to let the general laziness of the seething masses keep ’em out… and keep what’s left out there from walking away or otherwise being destroyed. The goats would also appreciate the privacy. Make sure to knock first! I seriously lol’d at your comment about the shack!